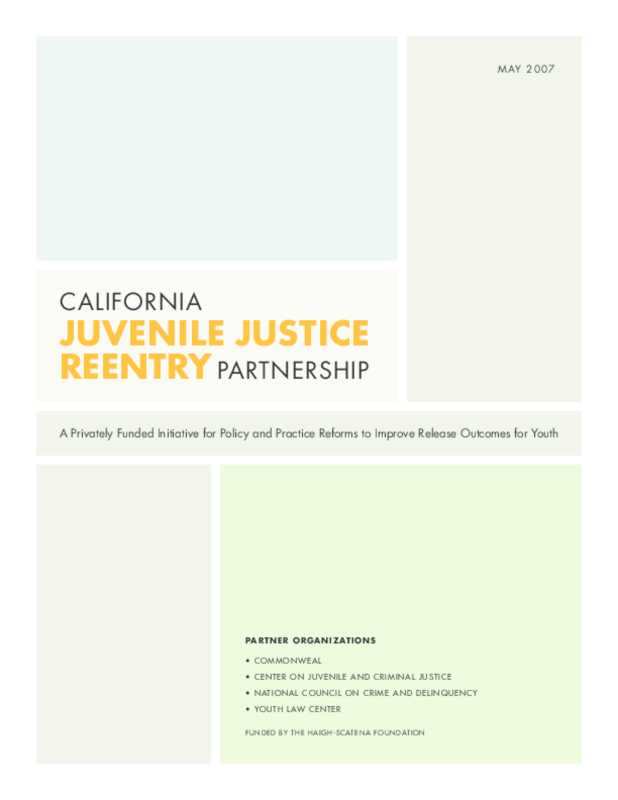 A prime goal of the California juvenile justice system is the rehabilitation of juvenile offenders. Youth who commit crimes may be incarcerated for public safety reasons, but during and after their confinement they are supposed to receive treatment and services suited to their needs. Unfortunately, the juvenile justice system in California has achieved limited success in meeting the goal of rehabilitation. The re-offense rate for youth released from the state youth correctional system (the Division of Juvenile Justice) is approximately 70 percent -- meaning that more than two thirds of state delinquent wards are rearrested within two years of release. The results for county-run facilities, while not as well documented, indicate that more than a third of those leaving local facilities for delinquents are rearrested within one to two years. Rearrests are not the only measures of youth success and failure. Youth released from custody also have high rates of school dropout, substance abuse, mental disorders and other problems. Incarceration may also worsen a youth's problems, based on well documented reports of abuse and violence in some institutions, particularly those operated by the state Division of Juvenile Justice (formerly, the California Youth Authority). Copyright 2007 National Council on Crime and Delinquency. All rights reserved.